into the life and work of the Tony and Academy Award-winning actor. With an “Inside the Actor’s Studio” style interview Mr. Grey will discuss his life and 50 year career in the theater including his roles in “Chicago”, “Anything Goes”, “Wicked” and most notably the Master of Ceremonies in “Cabaret”. Mr. Grey will also sing a few of the songs from the shows that he made famous. Be prepared to get “up close & personal” with this legend of Broadway and Hollywood – Mr. Grey will participate in an audience Q&A following the show. Fans will also have the chance to purchase his new memoir and have it signed in the lobby following the event. This incredible night is not to be missed! Make it a fabulous evening of dinner and a show – visit Bernard’s (20 West Lane · Ridgefield) on the day of the show for a great Prix Fixe Menu when you present your tickets to this performance – Reservations suggested. This special event and Daniel C. Levine Production – is partially underwritten by Adam Broderick Salon & Spa, and Nutmeg Livery. 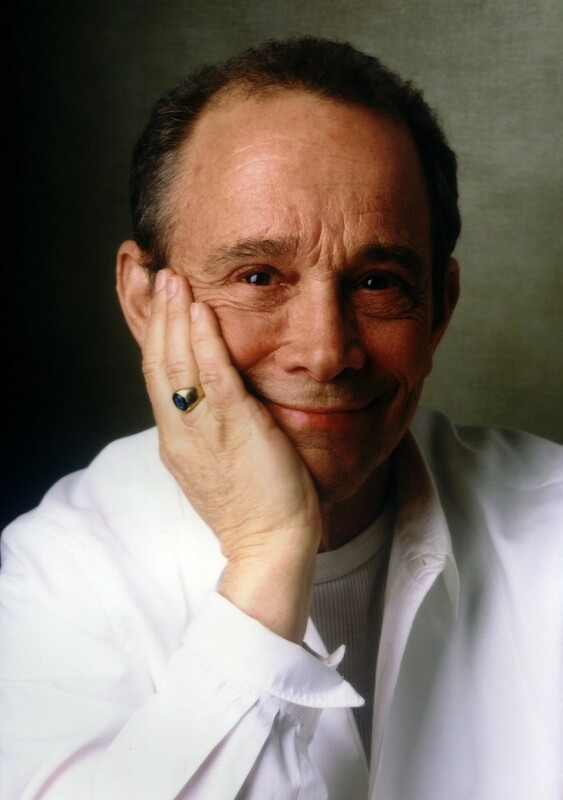 In a career that was launched in the early 1950’s, Joel Grey has created indelible stage roles each decade since. Grey made his theatrical debut at the age of 9 in the Cleveland Play House production of On Borrowed Time (and recently directed a production of the play for Two River Theater Company’s 20th Anniversary Season). He made his Broadway debut exactly two decades later as a replacement in Neil Simon’s first comedy hit, Come Blow Your Horn (1961). Since then, his Broadway credits include theStop the World I Want to Get Off, Half a Sixpence, Cabaret (Tony Award), George M! (Tony nomination), Goodtime Charley (Tony nomination), The Grand Tour (Tony nomination), Chicago (Drama Desk Award), Wicked and most recently, Roundabout Theatre Company’s Tony Award-winning revival of Anything Goes. Joel’s dramatic stage roles include Marco Polo Sings a Solo, Chekhov’s Platonov, the Roundabout Theatre production of Give Me Your Answer, Do! (Drama Desk nomination), New York City Opera’s Silverlake (directed by Hal Prince) and Larry Kramer’s seminal The Normal Heartat the Public Theatre, which he also co-directed with George C. Wolfe in its Broadway premiere (Drama Desk Award, Tony nomination). Joel received the Academy Award, the Golden Globe and the British Academy Award for Best Supporting Actor for his performance in the 1972 film version of Cabaret(directed by Bob Fosse). He is one of only nine actors to have won both the Tony and Academy Award for the same role. Other film credits include Man on A Swing, Robert Altman’s Buffalo Bill and the Indians, The Seven Percent Solution, Remo Williams: The Adventure Begins, Steven Soderbergh’s Kafka, Altman’s The Player, The Music of Chance, Michael Ritchie’s adaptation of The Fantasticks, Lars von Trier’s Dancer in the Dark and Clark Gregg’s Choke. For tickets ($90, $60 Students), call the box office at 203-438-5795, or visit ridgefieldplayhouse.org. The Ridgefield Playhouse is a non-profit performing arts center located at 80 East Ridge, parallel to Main Street, Ridgefield, CT. This entry was posted in Lifestyle, Travel and tagged joel grey, Ridgefield Playhouse.